Welcome to my tandem hearse website! 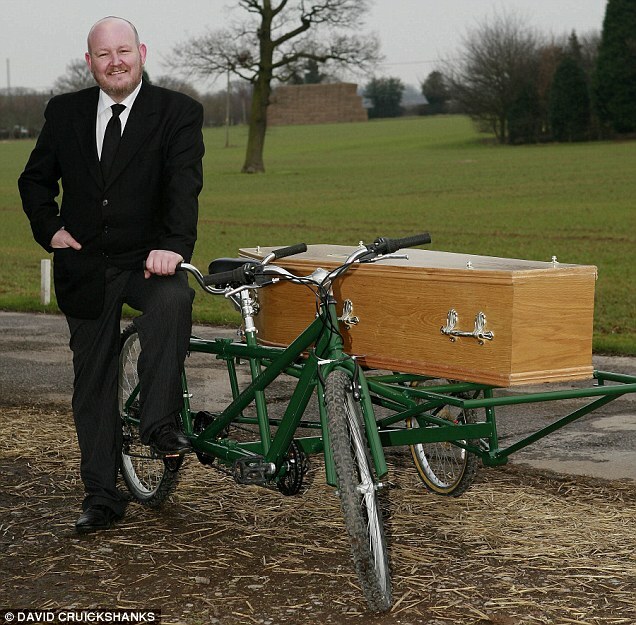 I supply tandem hearses for hire for funerals throughout the UK. See photos below! 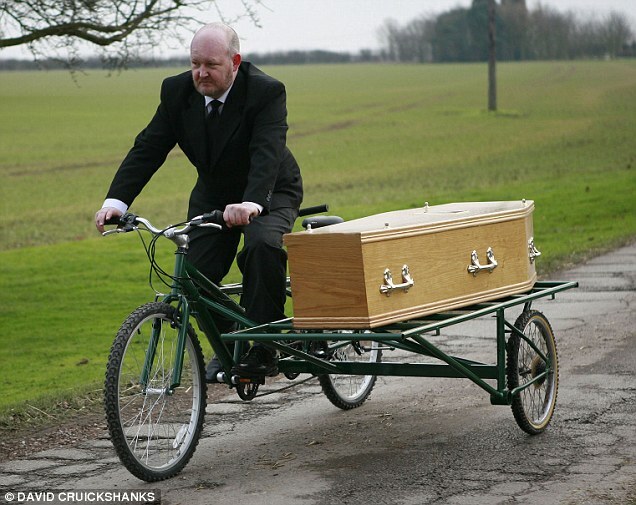 Yes you read that right - its a bicycle, with front and rear seats, and a sidecar for the departed to ride in on their final journey. It can be ridden by the mourners, or the undertaker, or me, or any combination as preferred. Respectful, professional, dignified and green: the ultimate modern environmental sendoff! Please book as soon as possible to ensure availability. Bookings can be taken at short notice (and they usually are!). But once a slot is gone its gone. Sadly, funerals are rarely cancelled! Also available for weddings and christenings! ...to a safe dignified and professional arrival!